Newport Realty is an association of individuals who are committed to a high level of service and professional integrity in the field. We aspire to success and are guided by the best interests of our customers and clients. We’re recognized for our distinctive advertising and our high-calibre Sales Force. We were formed in 1979 by a group of leading real estate professionals. We believe that superior service encourages customers to return willingly for that service, and to share their experience with others. Newport has recruited and developed the brightest professionals who all combined, negotiate over 800 successful transactions each year. We open a lot of doors… for our Buyers and Sellers. Our team always represent the buyer’s and seller’s best interests, and provides full disclosure regarding all pertinent information to the transaction. We owe a duty to act fairly and honestly with all parties, every time. The search to buy or sell luxury properties begins with the right broker. 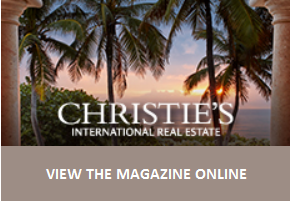 Christie’s International Real Estate has made that selection process easier for you. Only the most accomplished real estate brokers at the top of their markets are invited to join the Affiliate network. We undertake an exhaustive vetting procedure, examining all aspects of their business, their history, their character, and their potential. Once we determine that a broker is a leader in their field, exceeds our stringent service standards, and demonstrates a proven record of success, they are awarded the Christie’s International Real Estate Affiliate status, entering into a formal contractual relationship. As the leading network of real estate brokers dedicated to the marketing and sale of luxury homes, we can provide you with a global platform with localized connections to buy or sell your fine property. In markets from Stockholm to Rio de Janeiro, you will have assistance from a local professional who speaks the language, knows the neighborhoods, and is in tune with the culture of the community, giving you immediate access to the knowledge you need.